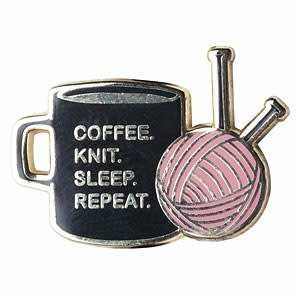 Crafty fuel for your crafty life! Coffee and sleep will keep you going for hours, just add fiber for the perfect day. 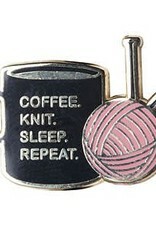 Even if you can’t knit 24 hours a day, there’s no need to clutter your life with anything beyond the basics. These pins are made with high quality cloisonne construction, backed in fine polished brass, with durable rubber backs.